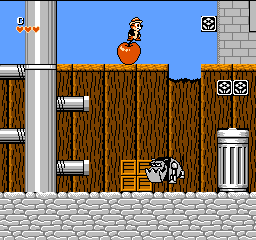 OverviewChip 'N Dale Rescue Rangers is a platformer for the NES based off the cartoon which aired in the 1990's. 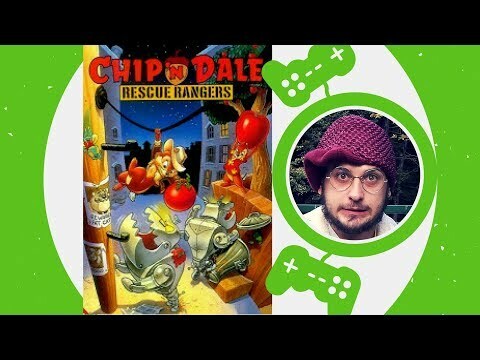 Chip and Dale rescue Rangers is based on the cartton show of the same name. Fat Cat has kidnapped Gadget. It's up to the remaining rangers to save the day. Now you can add videos, screenshots, or other images (cover scans, disc scans, etc.) 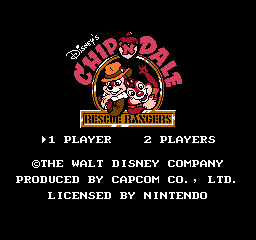 for Chip 'n Dale Rescue Rangers (Europe) to Emuparadise. Do it now!